Sarron Da Saag or Sarson ka saag is a popular curry in the Punjab region of India, made from mustard leaves (sarson) and spices. This is typically a Punjabi dish and it tastes really delicious with Makki ki Roti (Indian maize flat bread) and dollops of fresh butter (unprocessed white butter) or best with pure desi ghee (clarified butter). This dish originated from the Punjab region of India and is popular all over Northern India. During mustard growing season (November to February), green fields of Punjab and North India are covered with ‘sarson ke phool’, the yellow mustard flowers. Green leaves of mustard are used like spinach and made into a delicious sag/saag. 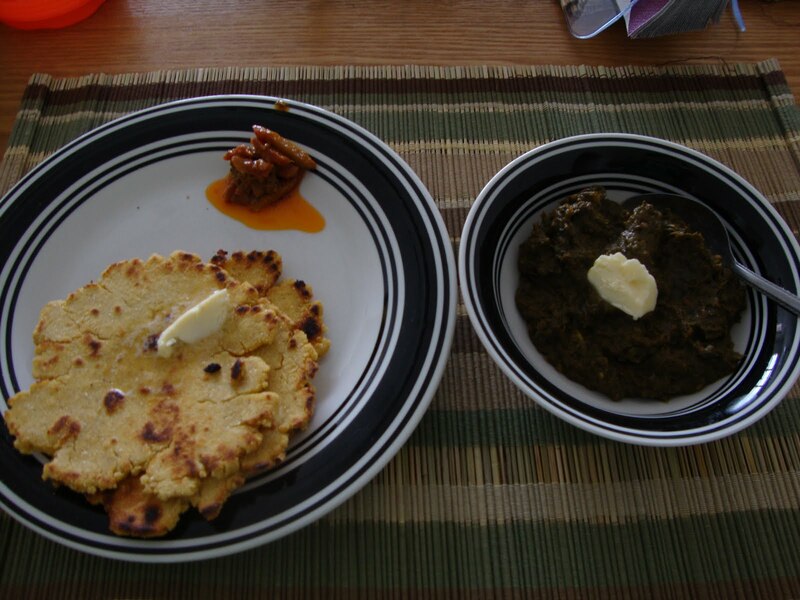 Sarson Ka Saag with Makke Di Roti is the passion of Punjab on a platter bringing out their culinary delights. 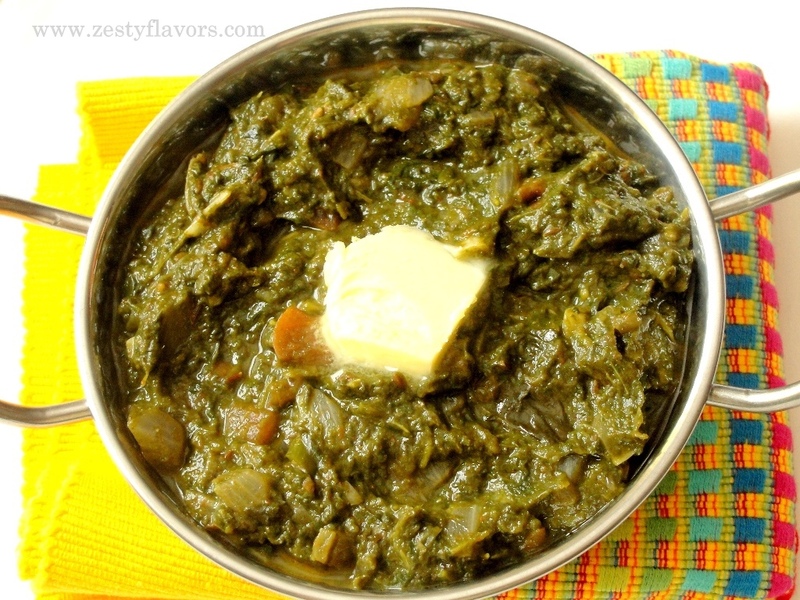 However sarson ka saag is a world famous delicacy that activates one’s taste buds and leaves you asking for more. Hope you enjoyed the recipe, do leave your comments.